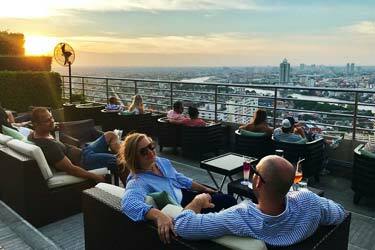 Complete guide to the 4 best rooftop bars in Rotterdam in 2019. 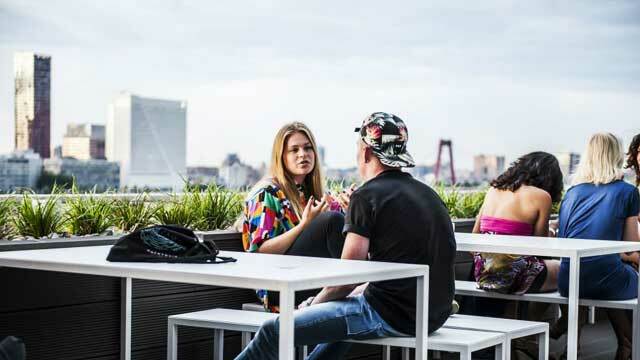 Here you'll find the best Rotterdam rooftop bars with all info you need about each rooftop. Opening hours, dress code, pictures, maps and much more. Located by the riverside, Rotterdam is a beautiful city that also comes with quite a modern skyline. This one is of course best viewed from one of the city's roof terraces. Mixing modern night life with more rural rooftop gardens, they come in different size and form. 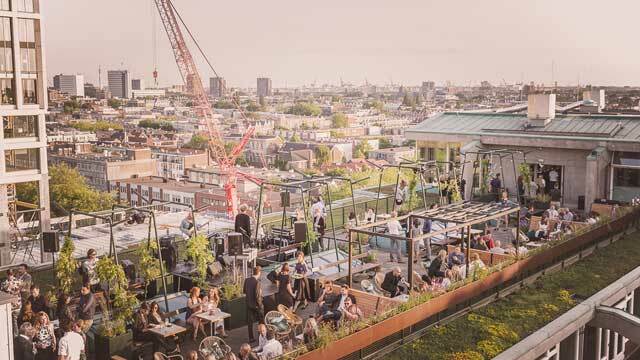 But which is the best rooftop bar in Rotterdam? 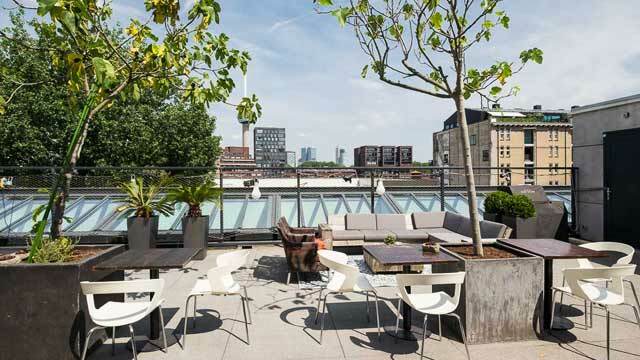 Just scroll down and find the Rotterdam rooftop bar best suited for you. Or use the Rotterdam rooftop map in the bottom right corner. Located right by the Rotterdam Central Station, The Suicide Club is a modern and cosmopolitan club, restaurant and rooftop bar. Being the only rooftop cocktail bar in Rotterdam, here you can enjoy creative cocktails, both originals and re-invented classics, but also Asian dishes with a local twist, made perfect to share. 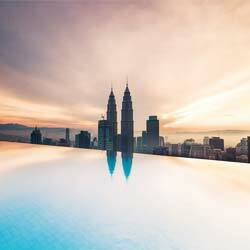 Vibrant in atmosphere, especially during weekends when the rooftop turns into more of a night club. Quite a unique spot, as it is Hollands first rooftop farm and urban garden, located in the city center of Rotterdam. 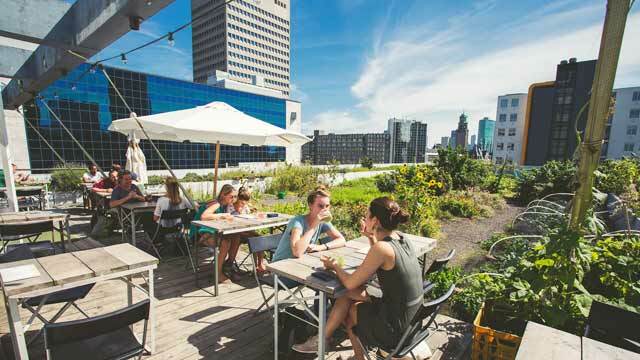 Green and lush rooftop terrace, where organic vegetables, edible flowers and herbs are complemented with dining tables and a great view over the Rotterdam skyline. Open during daytime, the rooftop bistro offers clean, simple and freshly cooked seasonal breakfast or lunch, nice coffee, natural wines and cool cocktails. 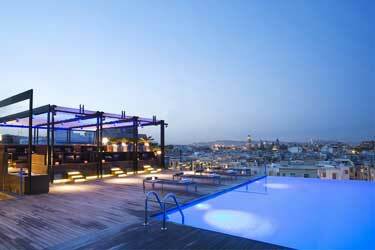 Nhow Rotterdam is a fabulous hotel that comes with an equally fabulous rooftop terrace. Spacious and modern, the terrace offers fantastic views over the water, Erasmus Bridge and the Rotterdam skyline. 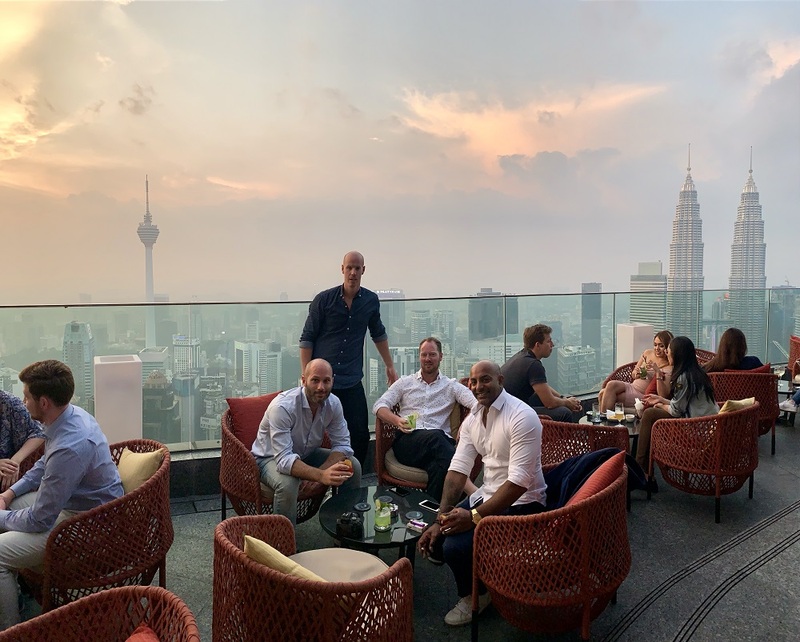 Trendy and slick in design, the rooftop bar usually comes with quite a vibe and is a perfect spot for cool drinks and lovely sunset views. Perched on top of the trendy and hip Stroom Rotterdam, this beautiful rooftop terrace is mainly available for private parties, but from time to time, anyone can enjoy the fantastic skyline views and the urban chic setting. 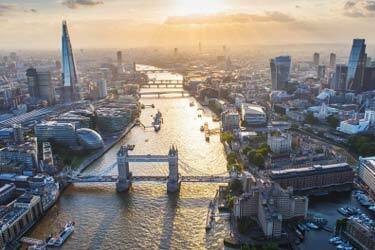 Look out for the two yearly and large rooftop parties, and in between it is always worth checking if the Stroom Brasserie arranges pop-up events on the terrace. Discover the biggest collection of Rotterdam activities, guided tours and skip-the-line tickets. Anything you want you'll find right here. Which are the best rooftops in Rotterdam? This complete guide will help you find the very best ones. While not one of the larger or major cities in the world, central Rotterdam still has quite a modern city center with many high-rise buildings. This is also the area where you find most of the rooftop bars, some right in the city center and some more towards the river front. All information about Rotterdam’s rooftop bars can be found under each rooftop. Here we list opening hours, dress code, price range, food, pictures, information, social media links, map, website, hotel reservation and so on. 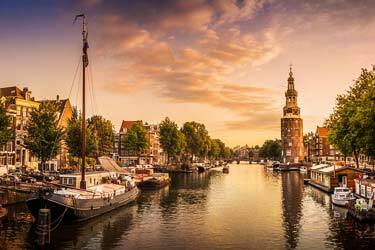 Rotterdam is Netherland's second largest city with about 630 000 inhabitants. 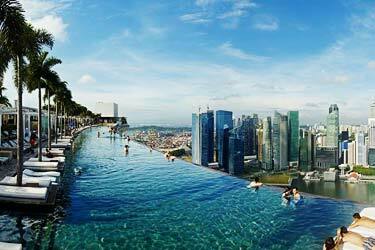 The city is located quite close to the Atlantic Ocean, but is not really on the coast. 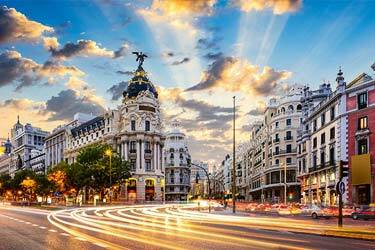 However, several rivers leading in and out of the city makes it feel very much like a coastal city. 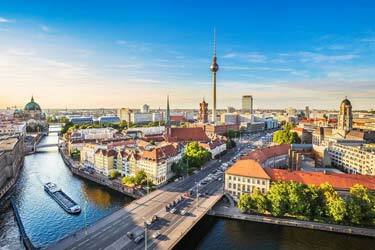 It is also Europe's largest port. Rotterdam is also known for its Erasmus University, the Erasmus Bridge and for its football team, called Feyenoord, the first Dutch club to win the UEFA Cup.